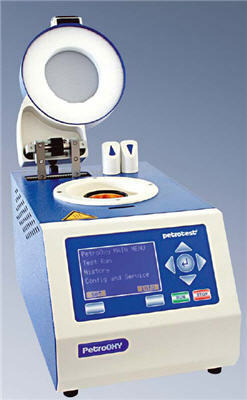 The PetroOXY-Method performs a massive reduction of testing time. The handling & cleaning time per test is limited to approx. 5 min. Compared to some other oxidation and storage stability test methods, this test method uses a small sample and gives a result in a short time period. Good repeatable results ... in a minimum of time ... by best possible user safety!